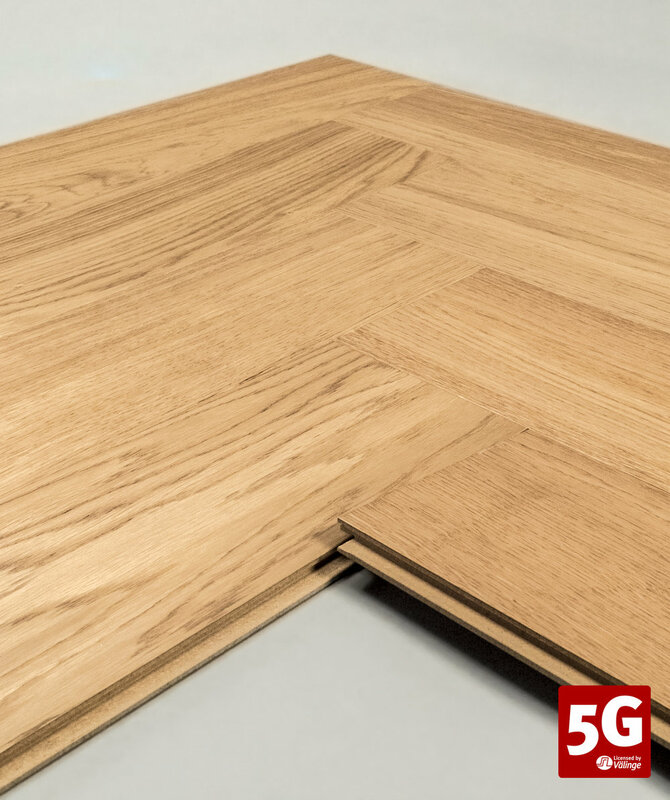 The 5G locking systems are optimized for wood and laminate flooring products in thicknesses up to 22 mm or more. When a panel is folded down, a flexible plastic tongue is pushed into a tongue-groove. As the panel reaches its final position, the tongue snaps out into a wedge groove, emits a ”click” sound and locks the product. 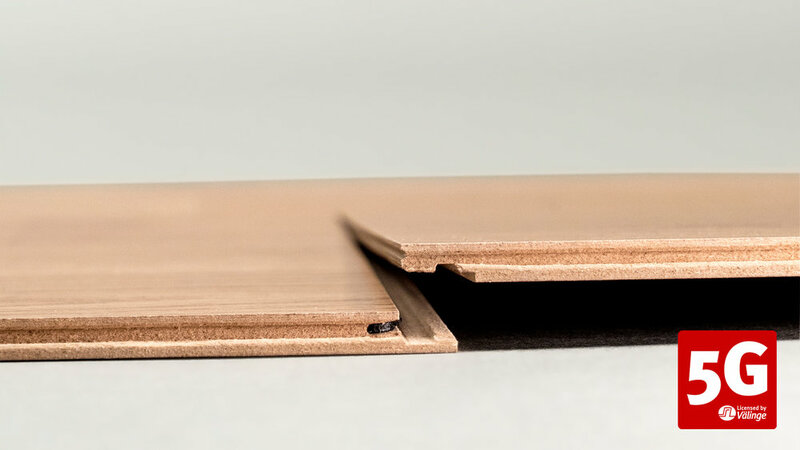 With its glass fiber-reinforced tongue placed on the folding panel, 5G offers this versatility in wood and laminate floors.